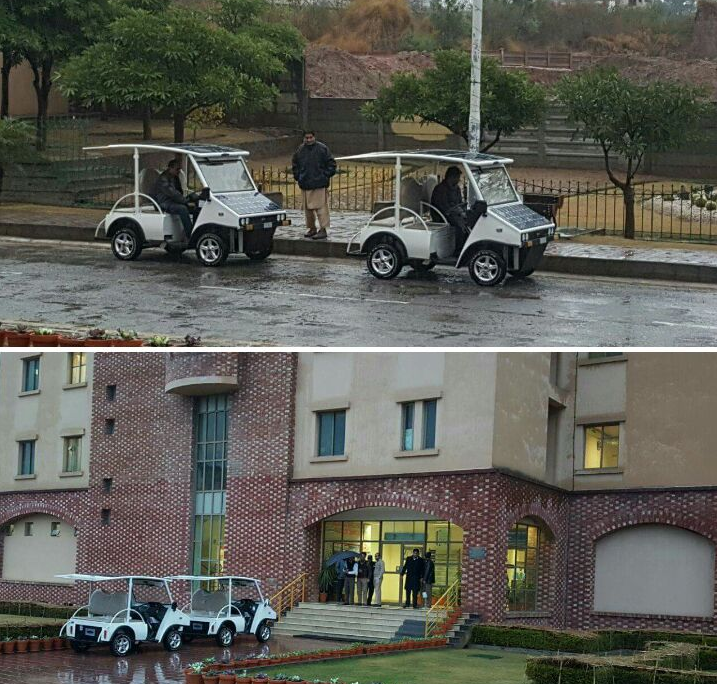 Economia Pakistan has made the first ever solar driven cars to be used for shuttle services in Comsats University, Islamabad. 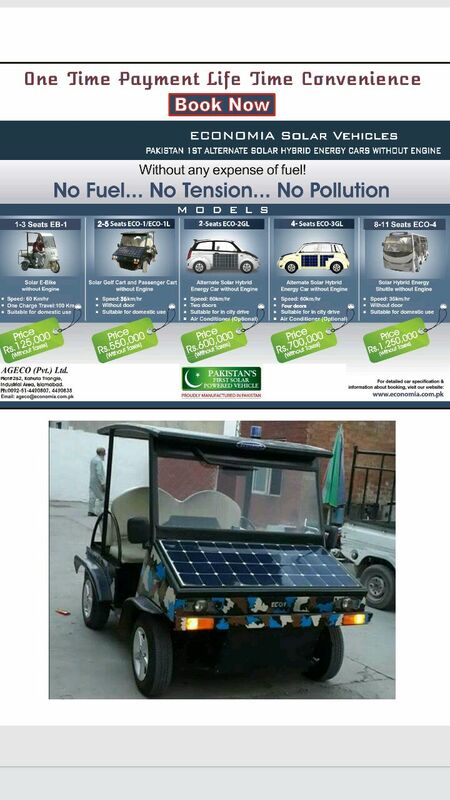 Solar cars are all designed, manufactured in Islamabad, Pakistan. The cars are called “Solar Electric Golf Cart” and they are used for patrolling/shuttle services. Solar panels are 22% glass less, high efficiency and they are all locally designed which makes our product a proud “Pakistani“. Comsats plans to to provide the cars in all engineering campuses to use as shuttle service as well as adding technology to the students which will be a part of their IEEE course. The 1st order is for 4 units out of which 2 are delivered already. On behalf of HEC, it is being planned that all Engineering Universities will add in a course and a yearly competition will also take place between Universities to create entrepreneurs and improve the technology in the country, raise awareness to the public. We foresee that the future is Solar Electric vehicles and by manufacturing these vehicles right here in Pakistan, we can not only build our local automobile industry, provide jobs but we can also export worldwide in future as well with the Government support. You can follow Economia solar activities on their Facebook page.